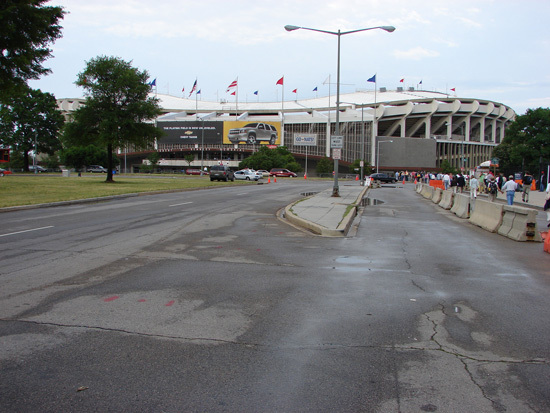 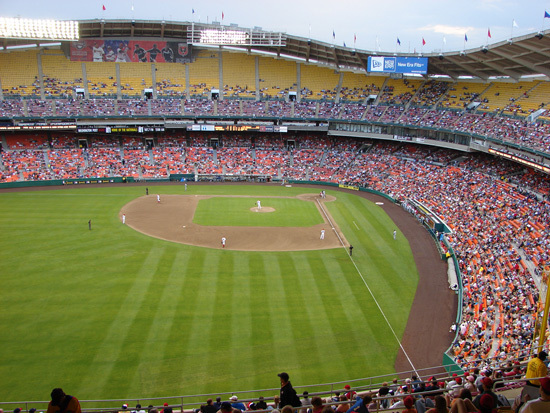 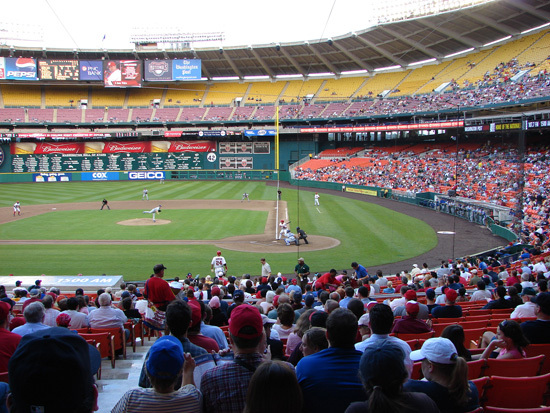 The Washington Nationals play at Robert F. Kennedy Stadium in Washington, D. C. RFK Stadium was built in 1961 as a joint use stadium with the Washington Redskins. 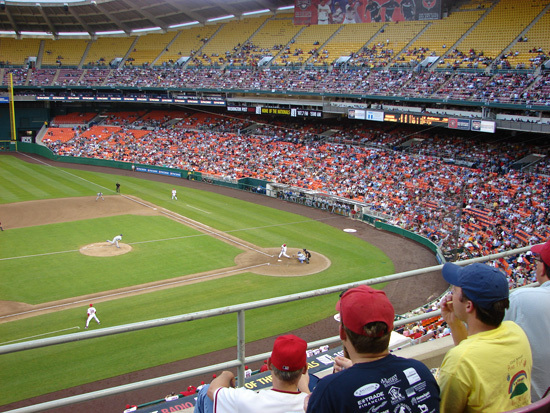 The Nationals moved to D.C. in 2005 from Montreal. 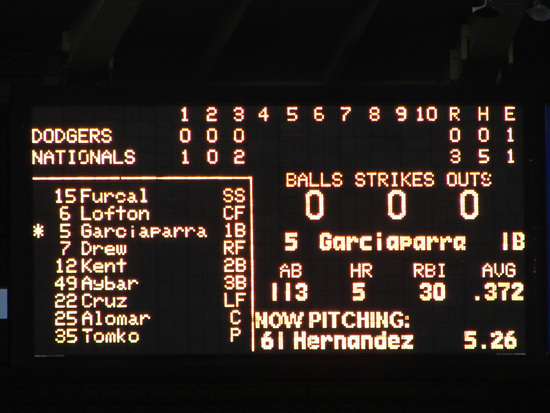 This was the first year of major league baseball after 33 years. 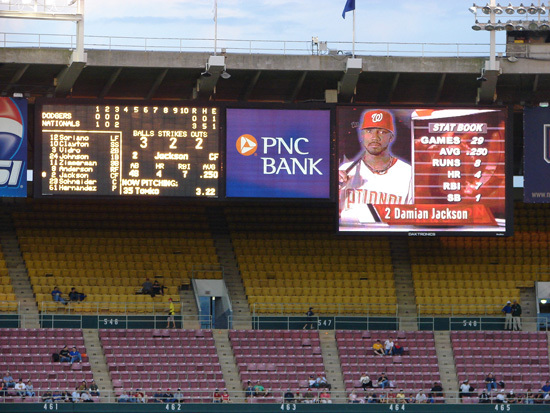 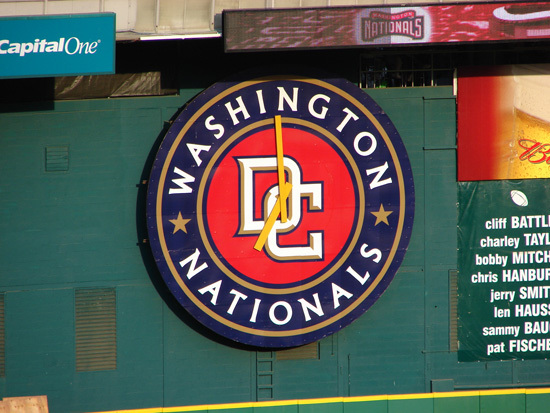 In 2006 the Nationals were finally sold by Major League Baseball to a private owner. 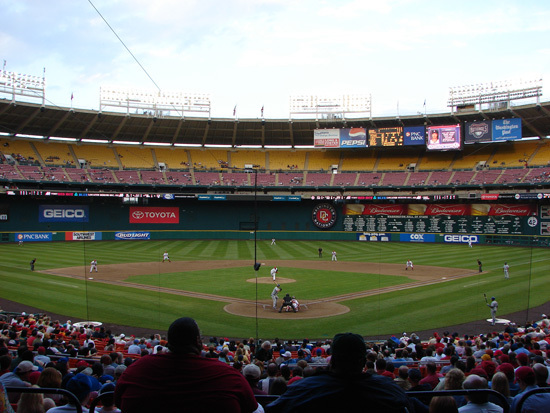 Mayor Anthony Williams, the D.C. Sports & Entertainment Commission and the Washington Nationals unveiled plans for a 41,000-seat state-of-the-art baseball stadium Tuesday, March 14, 2006. 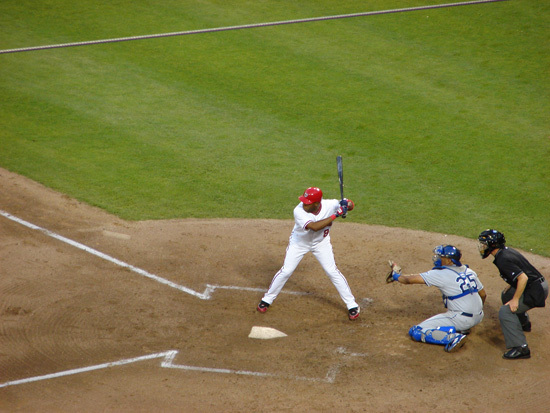 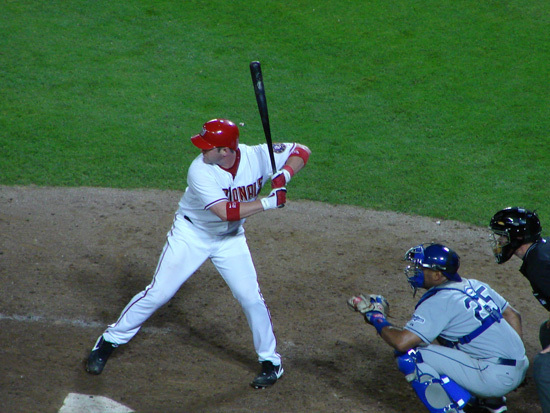 The Nationals were playing the Los Angeles Dodgers and won 10-4. 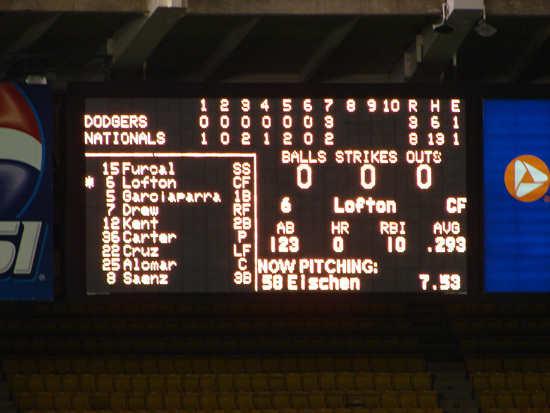 The box score was Dodgers R-4, H-9, E-1, and Nationals R-10, H-16, E-1. 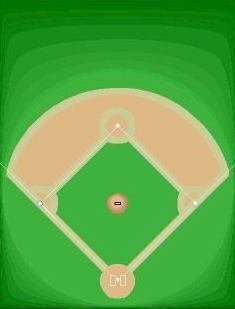 The field lines are symmetrical with RF & LF-335', RC & LC-380', and CF-410'. 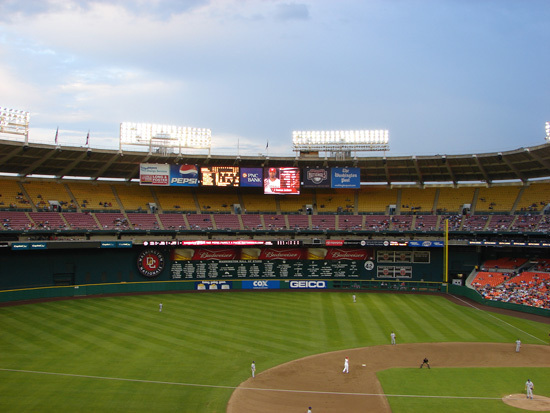 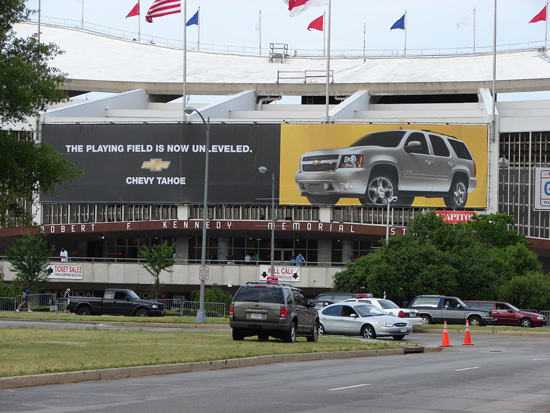 A local writer, Joel Achenbach commented in his column "This year the novelty's gone, and its hard to avoid noticing that we're a mediocre team playing in an old stadium with terrible food." 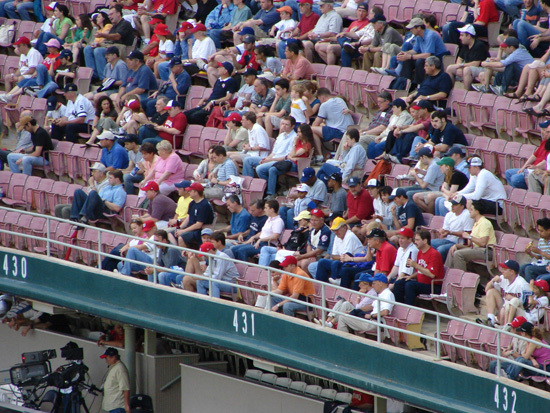 He hopes that with the new stadium that attendance will improve and hopefully the food as well. 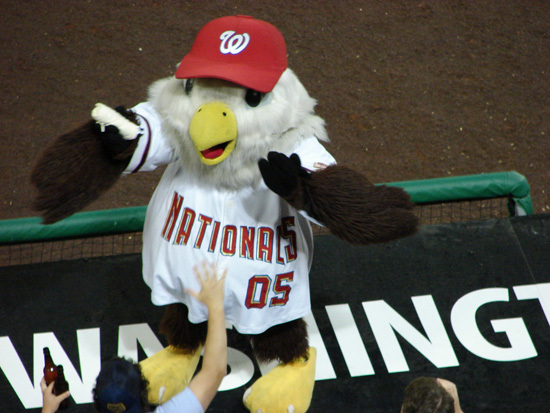 Screech, an eagle, is the mascot. 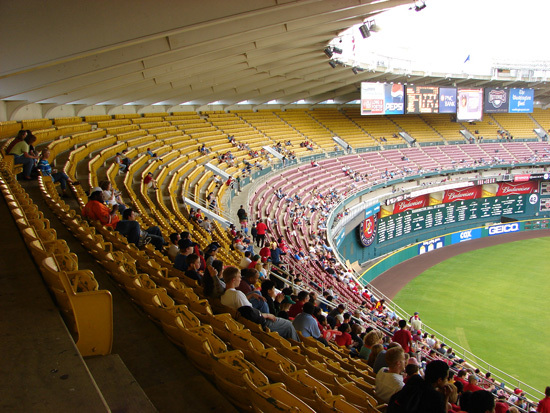 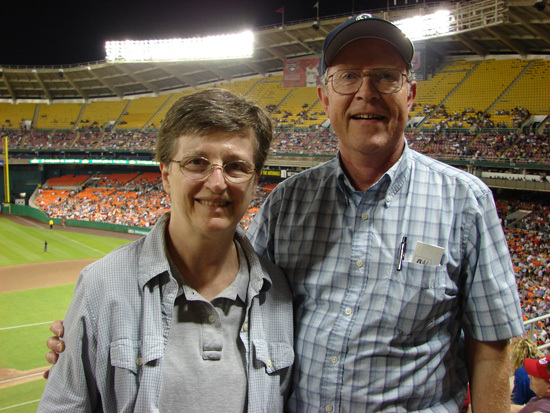 The new ballpark, Nationals Ballpark, opened in 2008 and seats 41,888. 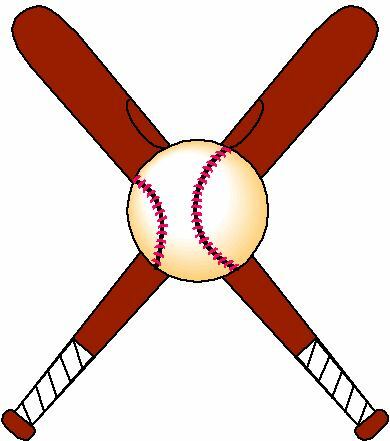 2011 new logo. 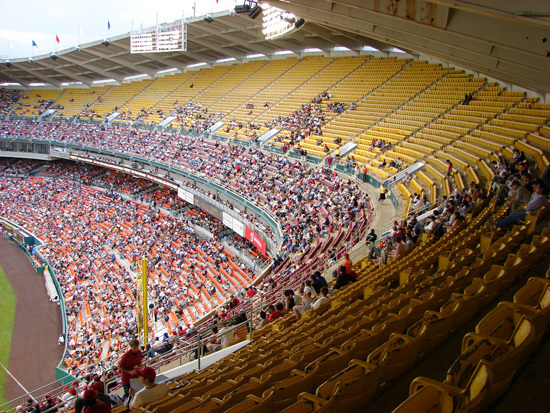 Washington, D. C. has too many to list. 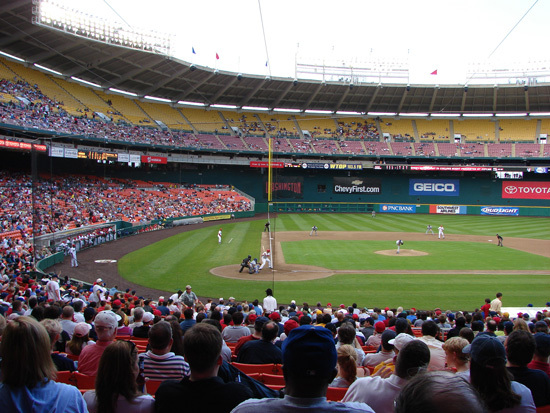 You could take a week and not see everything. 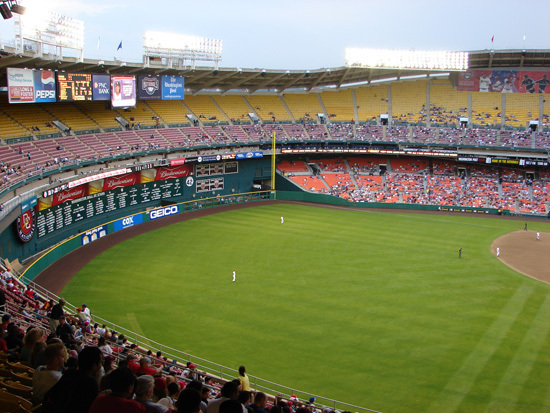 Visit several times and see a few of the major museums and attractions each time.